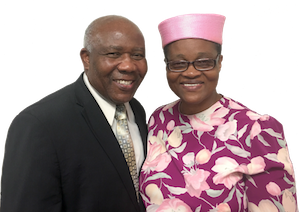 The vision of Bethel Abundant Life Ministries (BALM) is to reach out to the world with the transforming truth of God's Word and also the good news that Jesus saves! Through our website, we share very briefly some of the reasons you may want to make BALM your spiritual family and place for worship and service. Here, you can join "an empowered people reaching others for Christ" where you can share your testimony and experience with others. believers can diligently serve the Lord while awaiting His glorious return. As you browse through these pages you will notice that the programs we offer are designed to meet the needs of individuals as well as those of the entire family. If you are seeking to serve the Lord, we extend an invitation for you to make BALM your spiritual home - a warm heartfelt welcome awaits you!